GRAND RAPIDS, Mich. – SpartanNash today announced its newest private brand, Good to Go!™, designed to accommodate today’s busy consumer with fresh, flavorful and healthy meal solutions. Good to Go!, fresh from Open Acres™ adds to SpartanNash’s private brand portfolio, giving store guests a one-stop meal solution that’s ready when they are. The Good to Go! 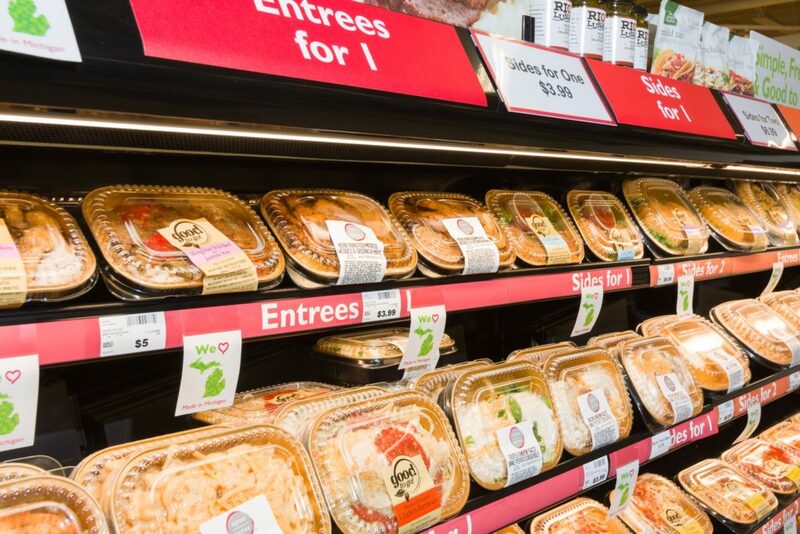 brand is available in the deli at Family Fare Supermarkets, D&W Fresh Market, VG’s Grocery and Forest Hills Foods locations throughout Michigan, offering entrees, sides and desserts. Sides start at $3.99 and meal options are available for $4.99-$7.99. Good to Go! has dozens of exciting new options for heat-and-eat meal solutions. From complete meals to side dishes and desserts, Good to Go! features trending flavors and comfort food favorites, such as tilapia with lemon orzo, chipotle chicken, shepherd’s pie, twice baked potatoes and apple crisp. The new brand is currently available exclusively at SpartanNash retail stores and will expand to the company’s more than 300 Michigan independent retailers in the coming months. SpartanNash introduced Open Acres in 2016, featuring more than 1,000 fresh-made produce, bakery, deli, meat and seafood options. Good to Go! complements these items with a variety of convenient meal solutions and simple side dishes at a budget-friendly price.